Oral appliances run the gamut from night guards and retainers to full or partial dentures. Millions of people depend on them for restoring or maintaining dental health. Today's user-friendly appliances reflect the latest advances in technology. But that doesn't mean you can simply "place them and forget them." Their longevity depends on taking care of them. The most important aspect of appliance care is keeping them clean. Although bacteria have no effect on an appliance's materials, they can accumulate on its surfaces and raise the risk your natural teeth and gums will be infected. To reduce that risk you should clean your appliance every day. The best way is with a countertop ultrasonic cleaner. These units emit high frequency sound vibrations that loosen plaque (a thin film of bacteria and food particles) from even the appliance's tiniest crevices. Most units cost between $40 and $60, and pose less of a scratching risk to the appliance's surfaces than manual cleaning. If you'd prefer to use a brush, there are some dos and don'ts to follow. You can use a cleaner especially designed for your appliance, but less expensive mild dish detergent or hand soap (with an antibacterial agent) will work too. Don't use toothpaste — most contain an abrasive ingredient for removing plaque from enamel that could leave microscopic scratches on your appliance. Use a soft-bristle toothbrush (but not the one you use for your natural teeth) or one designed for your appliance. While boiling kills bacteria, the high heat can soften and warp the plastic material in an appliance. This could alter how the appliance fits in your mouth, making them loose and uncomfortable to wear. You should also avoid bleach: it can whiten acrylic or nylon designed to mimic the red color of real gum tissue. Unless we've advised you otherwise, don't wear the appliance around the clock, a practice that raises the chances of bacterial accumulation. And be sure you also brush and floss your natural teeth every day. Keeping both your mouth and your appliance clean helps ensure the best oral health possible — and that your appliance will last longer. If you would like more information on caring for oral appliances, please contact us or schedule an appointment for a consultation. Although normally benign, a cold sore outbreak can be irritating and embarrassing. Understanding why they occur is the first step to minimizing outbreaks. 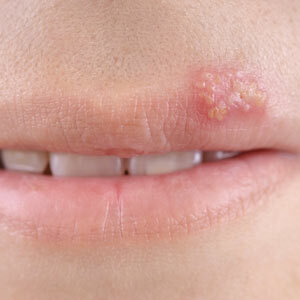 The typical cold sore (also known as a fever blister) is caused by the Herpes Simplex Virus (HSV) Type I, medically known as “Herpes Labialis” because it occurs on or around the lips. This virus is not to be confused with HSV Type II, which causes a genital infection. Unlike most viruses, HSV Type I can cause a recurring sore outbreak in certain people. Most viruses tend to occur only once because the body produces anti-bodies to prevent further attack; it’s believed HSV Type I, however, can shield itself from these defenses by hiding in the body’s nerve roots. These cold sore outbreaks often occur during periods of high stress, overexposure to sunlight or injuries to the lip. Initially you may have an itch or slight burning around the mouth that escalates into more severe itching, redness, swelling and blistering. The sores will break out for about a week to ten days and then scab over and eventually heal (unless they become infected, in which case the healing process may go longer). You’re contagious between the first symptoms and healing, and so can spread the virus to other people. In recent years, anti-viral prescription medications have been developed that can effectively prevent HSV outbreaks, or at least reduce the healing time after an occurrence. The most common of these are acyclovir and valcyclovir, proven effective with only a few possible mild side effects. They can be taken routinely by people with recurring cold sores to suppress regular outbreaks. While HSV Type I cold sores are more an aggravation than a health danger, it’s still important for you to see us initially for an examination if you encounter an outbreak. It’s possible for a more serious condition to masquerade as a cold sore or blister. A visit to us may also get you on the right track to reducing the frequency of outbreaks, as well as minimizing discomfort when they do occur. 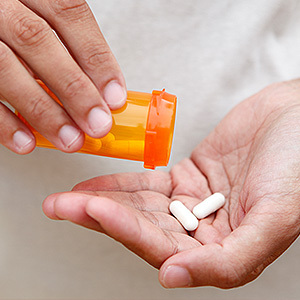 If you’ve had a total joint replacement or similar procedure, you will want your surgeon to decide if you need to take an antibiotic before you undergo dental work. This is a precaution to prevent a serious infection known as bacteremia. Bacteremia occurs when bacteria become too prevalent in the bloodstream and cause infection in other parts of the body, especially in joints and bone with prosthetic (replacement) substances. It’s believed that during invasive dental procedures bacteria in the mouth can enter the bloodstream through incisions and other soft tissue disruptions. Joint infections are a serious matter and can require extensive therapy to bring it under control. Out of this concern, the use of antibiotics as a prophylactic (preventive measure) against bacteremia once included a wide range of patients for a variety of conditions and procedures. 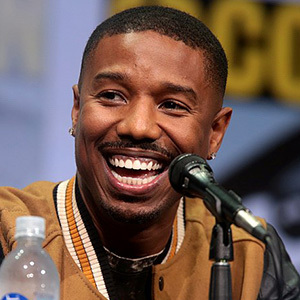 But after an in-depth study in 2007, the American Dental Association concluded that the risks for many of these patient groups for infection triggered by a dental procedure was extremely low and didn’t warrant the use of antibiotic premedication therapy. As a result, recommendations for antibiotic therapy changed in 2009, eliminating many groups previously recommended for premedication. But because of the seriousness of joint infection, The American Academy of Orthopedic Surgeons still recommends the therapy for joint replacement patients about to undergo any invasive procedure, including dental work. It’s especially needed for patients who also have some form of inflammatory arthritis, a weakened immune system, insulin-dependent diabetes, hemophilia, malnourishment or a previous infection in an artificial joint. The guidelines for antibiotic premedication can be complex. It’s best, then, to speak with both your orthopedic surgeon and us about whether you should undergo antibiotic therapy before you undergo a dental procedure. The ultimate goal is to reduce the risks of any disease and to keep both your mouth and your body safe from infection.